One of the best ways to support your learners—before, during, and after training—is with effective job aids. Job aids come in many forms: checklists, summaries, reference material, student and teacher guides, worksheets, glossaries, FAQs, and more. The challenge for many designers is knowing when and how to include job aids. One of my favorite examples of how job aids can be used with asynchronous courses is the Van Valen’s Gold Rush Journey project. The linear course format will be familiar to most course designers. What makes this course so effective is the remarkable way it includes job aids to guide the student’s historical thinking on Westward Expansion. 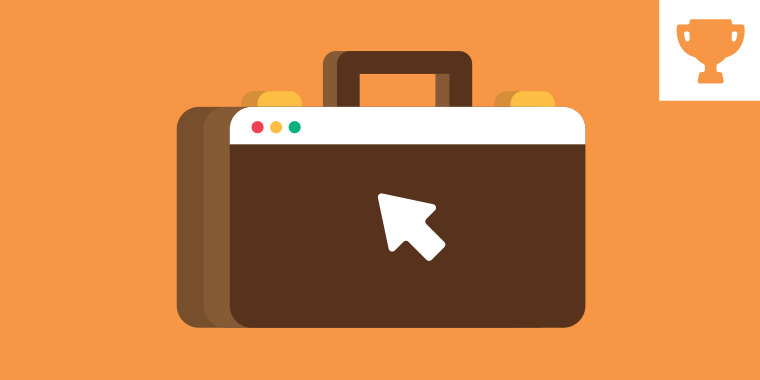 This week your challenge is to show us how to use job aids in e-learning. You can share examples of job aids that were used in place of courses, integrated into courses, or offered as course alternatives. You can use Articulate Storyline, Articulate Studio ’09, Articulate Studio ’13, Microsoft Word or PowerPoint to show your e-learning job aids. Here are some community resources to get you started. When is e-learning not the solution? What do you do when it's not an elearning course? You guys sure dragged out some amazing examples for our last weekly challenge. One of the things I love about these challenges is the supportive way you build upon each other’s ideas. Ana Lucia Barguil kicked off the year’s final challenge with three drag-and-drop games inspired by one of Tom’s free templates. As always, Ana shared her Storyline source files. Thanks, Ana! Rıdvan Saglam spent more than 30 seconds on his creative drag-and drop game but we think every second—or minute or hour—was worth it. Not to let time slip by, Ridvan shared an updated version. Kimberly Bourque her day job to create interactive map demo that was inspired by a recent challenge entry from Montse Anderson. Rameez Hendricks introduced himself to the community with a drag-and-drop example that will ensure we always remember his face. Well done, Rameez! Jeff Kortenbosch found a unique angle for drag-and-drop by sharing his menu navigation example. Thanks for the creative ideas and source file, Jeff! Joseph Ramanui proved that the only thing better than doughnuts is a Simpsons-inspired drag-and-drop game. Joseph then took things in a different direction with his Zombie Maze Game. Don’t be scared to check out the source file he shared. Thanks, Joseph! David Lindenberg shared a more peaceful interaction with his character-based drag-and-drop timeline. Great example, David! Ari Avivi shared an out-of-the-box example that lets learners practice their radio codes. Paul Alders shared a colorful drag-and-drop interaction designed to teach children to recognize important colors. Lots of possibilities for this type of interaction. Great job, Paul! Have a gr-aid week, E-Learning Heroes! Even if you’re using a trial version of Studio '13 or Storyline, you can absolutely publish your challenge files. Just sign up for a fully functional, free 30-day trial, and have at it. And remember to post your questions and comments in the forums; we're here to help. For more e-learning tips, examples, and downloads, follow us on Twitter. I am interested in highlighting these (and previous) entries to others as examples. What would be the best way to save them, with interactions intact, in case the links expire? @ David - I learned quite a bit about hypoglycemia - especially like all the visual aids and audio to reinforce your topic! @Ari - how creative indeed, short, sharp, succinct and to the point, I like how you direct your audience to using the included resources to progress further; that's a clever strategy that I will definitely include in my bag of tricks, thanks! Here's a very quick sample of some new hire orientation resources. I did this sample very quickly while watching our beloved Packers lose to the 49ers today, so in my distraught state I cannot confirm nor deny the quality of this sample. :-) https://db.tt/JuL4JbQG It contains in-course resources as well as some "dummy" PDF documents in the "Resource" tab in the player. @Jenise--I LOVE this concept. Great job even in your distraught state. I have to admit, I'm a bit stumped on this challenge. @Joseph, what a great way to teach a language. Your design is nice and clean too! @joseph - Thanks for sharing. I really like the hover interaction and listen to the pronunciation @Jenise - Great job. I like your design and the chat conversation @David - Great way to learn your son's teachers how to deal with low blood sugar! Love the community involvement here. @jenise, no worries. I thnk i know what you did and how you did it. David L, yes, DH and I feel your grief. We're southern California natives (living in northern AZ), and we'd "never" cheer for the S.F. 49ers. LOL Besides, "everyone" knows that the Packers are truly America's Team. @Jeff--awesome multi-pronged approach at teaching someone about Outlook. Great job! The simplicity is great as well; lots of information without overwhelming the user. @Ari - Great example of blending offline worksheets with the online course! Wonderful examples everyone. I'm still such a newbie to Storyline, but these samples are great for practicing. Thanks. This week I'm late, I loved all the fantastic examples. Thank you all for the great ideas! Question: Was Van Valen’s Gold Rush Journey project done entirely in Storyline? It was done way before Storyline so I'm guess it was built in Flash. I had a feeling. Thanks!